What makes that stunning, is that my mortgage is $92,000. And, I would guess that Wells Fargo has paid at least another $30,000 to lawyers since 2015. 10/6/2015 ~ When you do a QWR, you MUST include your email address and your phone number or the Consumer Financial Protection Bureau will not be able to verify you and you will not be able to see the responses which your lender sends to CFPB, and not to you. I am presently disgusted with CFPB and feel it is as useful to banks as Holder, former partner at Covington & Burling, with clients to include Wells Fargo, Bank of America, etc. was to Americans when he used the DOJ for cozy, sweetheart settlements for his former clients. Note: The questions you ask in your Qualified Written Request must meet certain standards in order to qualify to be considered a Qualified Written Request. If, for instance, you write letters challenging payment hikes, your lender may get away with not responding to you based on the argument that your questions were a request for loan modification, and not a Qualified Written Request. Read more. I filed the following with CFPB under their Tell Your Story function. Consumer Financial Protection Bureau appears to be working for BANKS and NOT for American homeowners/people. I am not allowed to look at my complaint activity online because CFPB cannot verify me. And, CFPB cannot correct the problem because they do not have a system that allows them to correct the problem. So, when Wells Fargo replies to CFPB, and NOT TO ME, I cannot see what Wells Fargo responded. Further, in direct violation of Dodd Frank, CFPB gave Wells Fargo an additional 60 days. Dodd Frank allows for an additional 15 days. Please make clear to Wells Fargo’s lawyers that if they bring up the Qualified Written Request (QWR) that I will understand their question(s) to indicate that Wells Fargo agrees that the QWR is NOT part of mediation but a separate issue entirely. Thereafter I heard nothing more from them, via the mediation facilitator. 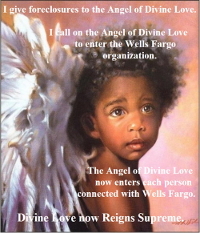 It therefore appears that the only reason Wells Fargo had its Colorado lawyers call the mediator about a teleconference was to address my Qualified Written Request and in so doing have me gagged: anything discussed in mediation may not be discussed or told to anyone outside mediation. Hence, I would be gagged on Twitter and anywhere else from mentioning my Qualified Written Request to Wells Fargo if it were to become a part of a mediation teleconference. 9/28/2015 ~ Wells Fargo had one of their law firms call the mediator today to set up a conference call to talk about where we are with Mediation… and, oh yes, the QWR. 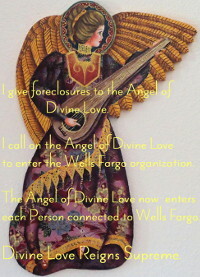 I explained to the mediator that while Wells Fargo may have gotten away with not serving me the foreclosure complaint, despite the fact that was a denial of my due process, Wells Fargo is going to have to answer the QWR under RESPA. I have to be sure to make clear that the QWR has nothing to do with mediation, because under mediation rules participants are not allowed to talk about anything from a mediation conference. Good afternoon, Ms. Kline. I’m writing this note in regard to the QWR issue. Wells Fargo requests an extension concerning the upcoming QWR response deadline, which is Wednesday, September 23, 2015. We’re asking for this extension because we’ve been working on a settlement agreement and/or loan modification and would like to devote our focus on the settlement/modification as opposed to the QWR, which consists of approximately 90 requests for information. We would appreciate a 30-day extension after such time as the parties cannot reach a settlement and/or loan modification. If the parties do reach an agreement or modification, this would avoid Wells Fargo having to respond to the QWR. Please let me know by return email if you approve. If you would like to discuss, please don’t hesitate to call or email me. 2014 brought changes to the mortgage servicing industry thanks to implementation of portions of the Dodd-Frank Act. Significantly, mortgage servicers now face revised statutes governing QWRs under the Real Estate Settlement Procedures Act. 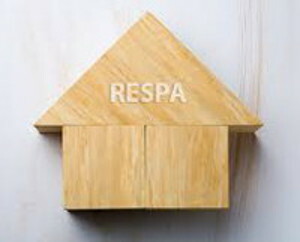 These modifications to RESPA may expose mortgage servicers to increased litigation for the failure to respond to a borrower’s correspondence within a specific timeframe. Consistent with the overall theme of the act, Section 1463(c) modifies RESPA and allows borrowers to obtain faster responses to their QWRs as well as heftier damages for a servicer’s failure to respond. The timeframe for acknowledging and responding to QWRs decreased significantly, and allowable statutory damages for a QWR violation doubled. First, a mortgage servicer’s timeframe in which to acknowledge receipt of a QWR will change from 20 days to five days (excluding public holidays, Saturdays and Sundays). Essentially, a mortgage servicer will have five business days in which to acknowledge, in writing, its receipt of a borrower’s QWR, as opposed to the 20 days previously allowed. Second, a servicer will have only 30 days (excluding public holidays and weekends) to provide a substantive, detailed response to the QWR, as opposed to the 60 days previously allowed. Third, servicers will be able to obtain an extension of time in which respond to a QWR: according to the brand new 12 U.S.C. 2605(e)(4), a servicer can now obtain a 15-day extension to the 30-day period in which to respond a QWR. The only things a servicer must to do to receive the extension is notify the borrower and provide the reasons for its delay in responding. Even with the extension, however, servicers will have a maximum of 45 days in which to substantively respond to a borrower’s QWR starting in January. In addition to the tighter timeframes for responding to QWRs, the statutory damages available to a borrower will increase sharply. As of January 2014, an individual borrower may obtain statutory damages, in additional to actual damages, of as much as $2,000. Prior to the Dodd-Frank amendment, statutory damages available for a servicer’s failure to respond to a QWR in a timely manner were capped at $1,000. Furthermore, in the case of a class action lawsuit, the maximum allowable amount of statutory damages available will double from $500,000 to $1 million. Please treat this letter as a “qualified written request” under the Federal Servicer Act, which is a part of the Real Estate Settlement Procedures Act, 12 U.S.C. 2605(e). Specifically, I am disputing a) the identity of a true secured lender/creditor, and b) the existence of debt, and c) your authority and capacity to collect on behalf of the alleged lender/creditor. Because of extensive criminal activity and fraud in this arena, I require proof of the chain of secured ownership from the original alleged lender/creditor to the alleged current lender/creditor. Further, I require proof that you are the entity that has been contracted to work on behalf of the alleged lender/creditor. A full, double sided, certified “true and accurate” copy of the original promissory note and security instrument and all assignments of the security instrument. Full name, address and telephone number of the actual entity that funded the transaction. Full name of Trust where the Note Number is trading, or has traded, and the identifying Series of Certificates. (Note: If the note number is being traded in a Fannie Mae Trust or Freddie Mac Trust, please provide all information to identify the Trust (i.e. Fannie Mae Pool Number, CUSIP Number, REMIC or SMBS Trust Number and Trust Class/Tranche). Full name, address, and telephone number of the Trustee. Full name, address, and telephone number of the Custodian of my original Promissory Note, including the name, address and telephone number of any trustee or other fiduciary. This request is being made pursuant to Section 1641(f)(2) of the Truth In Lending Act. Full name, address, and telephone number of the Custodian of my original Security Instrument, including the name, address and telephone number of any trustee or other fiduciary. This request is being made pursuant to Section 1641(f)(2) of the Truth In Lending Act. A physical location (address) of the original promissory note, original security instrument, and all assignmentsof the security instrument, and a contact name and phone number of someone who can arrange for inspection of said documents. If it is alleged that the original promissory note was lost, how was it lost? When was the original promissory note last seen? Full name, address, and telephone number of the last person who saw the original promissory note. In whose possession was the original promissory note when it was allegedly lost? Full name, address and telephone number of any person who has direct personal information on the location of the original promissory note and the timing and method of loss. Full name, address and telephone number of any master servicers, servicers, sub-servicers, contingency servicers, back-up servicers or special servicers for this account. All data, information, notations, text, figures and information contained in your mortgage servicing and accounting computer systems including, but not limited to Alltel’s CPI system, any system by Alltell or any other similar mortgage servicing software used by you, any servicers, or sub-servicer of my mortgage account from the inception of my loan to the date written above. All descriptions and legends of all Codes used in your mortgage servicing and accounting system so that the examiners, auditors and experts retained to audit and review my mortgage account may properly conduct their work. All purchase and sale of mortgage agreements, sale or transfer of servicing rights or other similar agreement related to any assignment, purchase or sale of my mortgage loan or servicing rights by you, any broker, affiliate company, parent company, servicers, bank, government sponsored enterprise, sub-servicers, mortgage broker, mortgage banker or any holder of any right related to my mortgage, promissory note and deed of trust from the inception of my loan to the present date. All prospectus’ related to the sale or transfer of my note, deed of trust, mortgage and servicing rights or other similar agreement related to any assignment, purchase or sale of my mortgage loan or servicing rights by you, any broker, affiliate company, parent company, servicers, bank, government sponsored enterprise, sub-servicers, mortgage broker, mortgage banker or any holder of any right related to my mortgage, promissory note and deed of trust from the inception of my loan to the present date. All assignments, transfers, alonges, or other document evidencing a transfer, sale or assignment of my mortgage, deed of trust, promissory note or other document that secures payment by me to my obligation in this account from the inception of my loan to the present date. Has each sale, transfer or assignment of my mortgage or promissory note or any other instrument I executed to secure my debt been recorded in the county property records in the county and state in which my property is located from the inception of my loan to the present date? Yes or No? All deeds in lieu, modifications to my mortgage, promissory note or deed of trust from the inception of my loan to the present date. Bank statements or similar documentation. The MERS Milestone Report, if the note number and security instrument was tracked by Mortgage Electronic Registration Systems. I want to see the audit trail of the alleged transfer in ownership and alleged transfer in security interest. A complete audit history from alleged loan origination, showing the dates payments were applied, and to what internal accounts (i.e. principal, interest, suspense, escrow, etc.) payments were applied.25. A complete and itemized statement of all advances or charges against this account. A complete and itemized statement of the escrow for this account, if any, from the date of the note origination to the date of your response to this letter. All letters, statements and documents sent to me by your company. All letters, statements and documents sent to me by agents, attorneys or representatives of your company. All letters, statements and documents sent to me by previous servicers, sub-servicers or others in your loan file or in your control or possession or in the control or possession of any affiliate, parent company, agent, sub-servicer, servicer, attorney or other representative of your company. All electronic transfers, assignments, sales of my note, mortgage, deed of trust or other security instrument. Have you purchased and charged to the account any Force-Placed Insurance? A complete and itemized statement from the date of the note origination to the date of your response to this letter of the amounts charged for any forced-placed insurance, the date of the charge, the name of the insurance company, the relation of the insurance company to you or a related company, the amount of commission you received for each force-placed insurance event, and an itemized statement of any other expenses related thereto. A complete and itemized statement from the date of the note origination to the date of your response to this letter of any suspense account entries and/or any corporate advance entries related in any way to this account. A complete and itemized statement from the date of the loan to the date of your response to this letter of any property inspection fees, property preservation fees, broker opinion fees, appraisal fees, bankruptcy monitoring fees, or other similar fees or expenses related in any way to this loan. A statement/provision under the security instrument and/or note that authorizes charging any such fee against the account. Copies of all property inspection reports and appraisals, broker price opinions, and associated bills, invoices, and checks or wire transfers in payment thereof. All agreements, contracts and understandings with vendors that have been paid for any charge on my account from the inception of my loan to the present date. Complete copy of any transaction report(s) indicating any charges for any “add on products” sold to the debtors in connection with this account from the date of the note origination to the date of your response to this letter. Complete and itemized statement of any late charges added to this account from the date of the note origination to the date of your response to this letter. Complete and itemized statement of any fees incurred to modify, extend, or amend the loan or to defer any payment or payments due under the terms of the loan, from the date of the note origination to the date of your response to this letter. In a spreadsheet form or in letter form in a columnar format, please detail for me each and every credit on my account and the date such credit was posted to my account as well as the date any credit was received. In a spreadsheet form or in letter form in a columnar format, please detail for me each and every debit on my account and the date such credit was posted to my account as well as the date any debit was received. For each debit or credit listed, provide the definition for each corresponding transaction code you utilize. For each transaction code, provide the master transaction code list used by you or previous servicers. Complete, itemized statement of the current amount needed to pay-off the alleged “loan” in full. Verification of any notification provided to me of a change in servicer. Have attorney fees or legal fees ever been assessed to my account from the inception of my loan to the present date? If attorney fees or legal fees have been assessed to my account, detail each separate assessment from the inception of my loan to the present date to include the date of such assessment to my account. Have attorney fees or legal fees ever been collected from my account from the inception of my loan to the present date? Detail each separate collection of attorney fees from my account from the inception of my loan to the present date and provide the date of such collection from my account. Provide the name and address of each attorney or law firm that has been paid any fees or expenses related to my account from the inception of my loan to the present date. Detail and list each separate attorney fee assessed to my account and for which corresponding payment period or month such late fee was assessed from the inception of my loan to present date. Detail and list any adjustments in attorney fees or legal fees assessed and on what date such adjustment was made and the reasons for such adjustment. Has interest been charged on any attorney fee or legal fee assessed or charged to my account? Is interest allowed to be assessed or charged on attorney fees or legal fees charged or assessed to my account? How much in total attorney fees or legal fees have been assessed to my account from the inception of my loan until present date? How much in total attorney fees have been collected on my account from the inception of my loan until present date? Identify in writing the provision, paragraph, section or sentence of any note, mortgage, deed of trust or any agreement I signed authorized the assessment or collection of attorney fees. Have you reported the collection of late fees or late charges on my account as interest in any statement to me or to the IRS? Has any previous servicer or sub-servicer of my mortgage reported the collection of late fees or late charges on my account as interest in any statement to me or to the IRS? Do you consider the payment of late fees or late charges as liquidated damages to you for not receiving my payment on time? Are late fees considered interest? Detail in writing what expenses and damages you incurred or undertook for any payment I made that was late. Were any of these expenses or damages related to any payment I made that was late charged or assessed to my account in any other way? If yes, describe what expenses or charges were charged or assessed to my account. Identify in writing the provision, paragraph, section or sentence of any note, mortgage, deed of trust or any agreement I signed that authorized the assessment or collection of late fees. Detail and list each separate late fee assessed to my account and for which corresponding payment period or month such late fee was assessed from the inception of my loan to present date. Detail and list any adjustments in late fees collected and on what date such adjustment was made and the reasons for such adjustment. Has interest been charged on any late fee assessed or charged to my account? Is interest allowed to be assessed or charged on late fees charged or assessed to my account? How much in total late charges have been assessed to my account from the inception of my loan until present date? Provide the exact months or payment dates you and other previous servicers of my account claim I have been late with a payment from the inception of my loan to the present date. How much in total late charges have been collected on my account from the inception of my loan until present date? Identify the provision, paragraph, section or sentence of any note, mortgage, deed of trust or any agreement I signed that authorized the assessment or collection of property inspection fees. Have you labeled in any record or document a property inspection as a misc. advance? Have you labeled in any record or document a property inspection as a legal fee or attorney fee? Has interest been charged on any inspection fees assessed or charged to my account? If yes, when and how much was charged? Is interest allowed to be assessed or charged on inspection fees charged or assessed to my account? How much in total inspection fees have been assessed to my account from the inception of my loan until present date? Identify where the originals of my entire loan file are currently located and how they are being stored, kept and protected? Has my mortgage loan been made a part of any mortgage pool since the inception of my loan? You should be advised that within FIVE (5) DAYS you must send us a letter stating that you received this letter. After that time you have THIRTY (30) DAYS to fully respond as per the time frame mandated by Congress, in “Subtitle ‘E’ Mortgage Servicing” of the ‘‘Dodd-Frank Wall Street Reform and Consumer Protection Act and pursuant to 12 U.S.C. Section 2605(e)(1)(A) and Reg. X Section 3500.21(e)(1). Please provide the name, address and telephone number of the owner(s) of the mortgage and the master servicer of the mortgage. It is my hope that you answer the foregoing questions, document and validate the debt to the penny and correct and make right any errors uncovered. 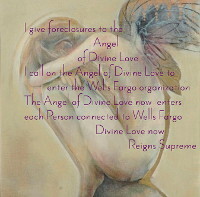 Federal National Mortgage Association Federal Home Loan Mortgage Corp.
Wells Fargo’s Response ~ View Response. What Happens if the Servicer Fails to Respond? There is a special unit inside CFPB. Each failure of the servicer to properly respond creates a cause of action for you against the servicer. That could be $2,000 statutory per violation plus actual damages plus attorney fees for each separate request. If you live in a judicial foreclosure state, the failed responses become counterclaims as part of the answer filed by your attorney. If you live in a non-judicial state, then Section 6 of RESPA allows a homeowner to file an affirmative action within one year for a mishandled Qualified Written Request. If the Servicer fails to respond to the first Qualified Written Request, send another QWR, stating that the prior request(s) dated X and Y were ignored (remember each failure creates a circumstance in which the homeowner can receive damages). Why is the Identification of the Pooling and Servicing Agreement (PSA) for the Securitization Trust Important? The pooling and servicing agreement for a public securitization trust governs the types of workouts that are permitted under your group of loans. PSA’s are 200 to 500+ page documents that can be found on SEC.gov by typing the name of the securitization trust in Google. To receive a certified copy of the PSA, write [email protected]. Also see Get Your PSA. NOTE: There are a different forms of the Qualified Written Request. I combined a couple that I found using Google. Questions relating to the Original Note will be key at trial if we don’t settle. TRUTH-IN-LENDING ACT § 131(f)(2): Under TILA Section 131(f)(2), a party servicing the mortgage loan is not treated as the owner of the obligation if the obligation was assigned to the servicer solely for the administrative convenience. Accordingly, the requirements of § 226.39 under the interim rule do not apply to a loan servicer if the servicer holds legal title to the loan solely for administrative convenience. ~ Read More. How does a Qualified Written Request help? "Wells Fargo incorporates its general objections above. 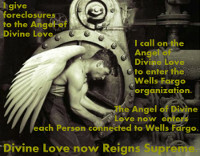 Wells Fargo further objects because the request is unclear."